When you land in a new city, one of the most exciting things you can do is get out and discover local hotspots. Whether it’s the places with the best food, perhaps a new watering-hole, or maybe something totally different, here we give you a few of our favourite, and of course affordable, places to eat and drink in BCN. Top quality tapas, friendly staff, a vibrant atmosphere and an eclectic mix of locals and tourists mark El Xampanyet out as a great place to eat. The restaurant draws in big crowds, so it’s always bustling with energy and a warm, cosy ambience. If you manage to squeeze your way in, we’re sure you won’t regret it. Accompany your meal with their house-made cava for an authentic local taste! Heaven on earth for all chocolate lovers! Chök, like many of us, love chocolate. With their passion for cooking, they love to spend their time special sharing moments in the kitchen. In the two shops, both located just a stones’ throw from La Rambla, all their delicious creations and experiments come to life. Amazing flavour combinations and beautiful creations, Chök has something for every lover of food. There are plenty of places to pick up a burger in Barcelona, but nestled in an unassuming back alley of El Born is a hidden gem that’s absolutely not to be missed. Fresh ingredients, generous portions and affordable prices await you at PIM PAM BURGER; along with an open kitchen where you can watch your meal being prepared. Whatever you choose to eat, definitely order a side of fries, they’ll blow you away! In the centre of Ronda Sant Antoni you can find Moritz’s old beer factory. After 10 years of renovation, it now offers a unique experience with a special atmosphere. 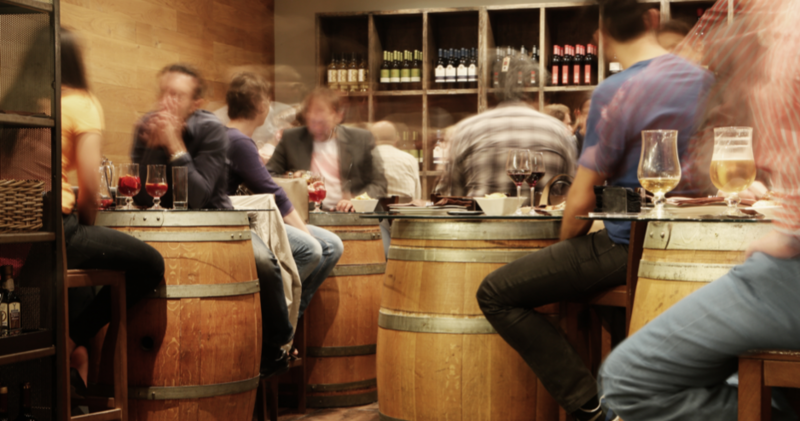 It is the perfect place to get traditional Moritz beer brewed right here in Catalunya, visit their concept store, or try one of the 400 different high-quality wines over a good meal. Gin lovers: welcome to paradise! Although it might appear understated from the outside, The Lime House opens up into a spacious and well-decorated grotto containing more flavours of Mojito than you could possibly choose from, as well as a staggering selection of home-made gins. You’ll also find great music and tasty, fairly-priced food, making this the perfect bar for a drink with friends. Vegan burgers, hummus, tortillas, and desserts. This vegan bar makes it all in their own kitchen! This small bar offers different types of ecological artisanal beer to kill your thirst or accompany your meal. Its intricately decorated with impressive clockwork, some plant life, a random collection of cat-inspired art and a beautiful Ducati you can say that this bar has a punk spirit with a very strong personality. The mix of the great food and the young international people makes it a very attractive place that is well worth a visit.